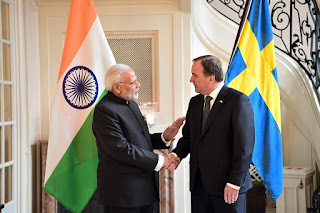 India and Sweden co-hosted the first India-Nordic Summit, ‘Shared Values, Mutual Prosperity’, where six prime ministers pledged to deepen cooperation while focusing their discussions on global security, economic growth, innovation and climate change. Prime Ministers Lars Lokke Rasmussen of Denmark, Juha Sipila of Finland, Katrin Jakobsdottir of Iceland and Erna Solberg of Norway attended the summit co-hosted by their Swedish counterpart Stefan Lofven and PM Narendra Modi. 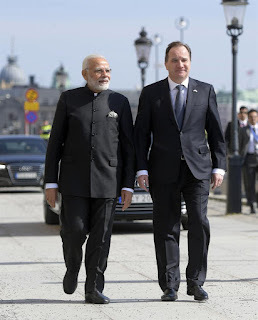 The leaders acknowledged that innovation and digital transformation drive growth in an interconnected world, which underpin a growing engagement between India and the Nordic countries. India has substantial economic ties with Nordic countries. Annual India-Nordic trade is about $5.3 b. The cumulative Nordic FDI into India has been $2.5 billion. Sweden, Norway, Finland, Denmark and Iceland are champions of free trade and protectionist trends are detrimental to their growth. 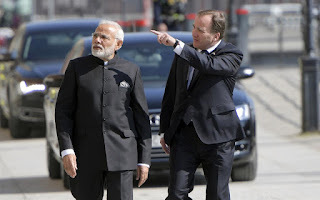 Adhering to the rules-based international order besides other ongoing global challenges were on the agenda of the first summit. Key members of Europe have also expressed apprehensions over challenges to rules-based global order and protectionist tendencies. 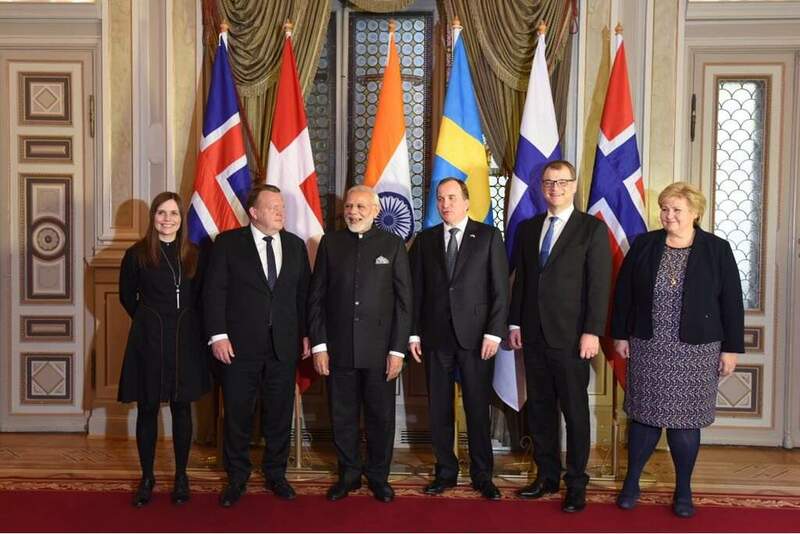 PM Modi also held separate bilateral meetings with leaders of each of four other Nordic countries.